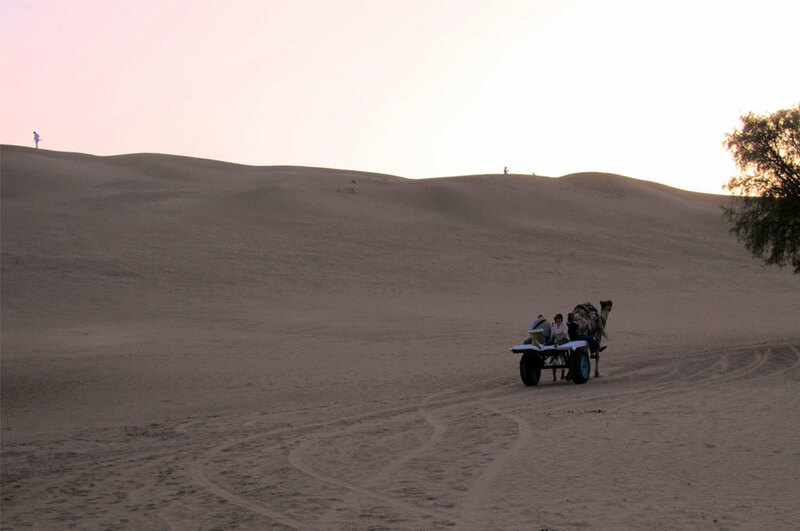 Here's a classic tour of the desert state of Rajasthan, one of India's most loved travel destinations- especially suited for first time travellers to India. Rajasthan is a spectacular state set amidst the great Indian Thar desert and the Aravali mountains- among the oldest in the world. Historic battles were fought here and the royal influence is still prevalent in the descendants of the old royalty. Music, dance and festivals are celebrated lavishly. The people are extremely hospitable, and the desert comes alive with their vibrant clothes and jewellery. The state is famous for precious and semi-precious stones, silver, handicrafts, textiles, carpets and hand-made paper. There are forest reserves where wildlife abounds and tigers still roam. And you can live like a king in the palaces now converted into heritage hotels. Fly into Jaipur. Check into your hotel and proceed on a half-day tour of the city. Visit Jantar Mantar, Hawa Mahal and City Palace. Explore the famous bazaars of Jaipur. Have dinner at Chokhi Dhani, an open air ethnic place with Rajasthani cuisine. Overnight Jaipur. After breakfast visit the splendid Amber Fort, the old capital of Jaipur, with your guide. Take an elephant ride to the ramparts of the fort, or go up in your car if you prefer. Later you could catch up on your shopping and city sightseeing. Overnight Jaipur. Drive 200 km (3 hours) to Bundi, a typical Rajasthani town built around a picturesque lake with traditional houses known as havelis. Bundi also has a rich and ancient tradition of miniature paintings. See a first-hand demonstration of these craftsmen at work. Overnight Bundi. Drive 270 km on to Udaipur, the city of lakes, and check into your hotel. 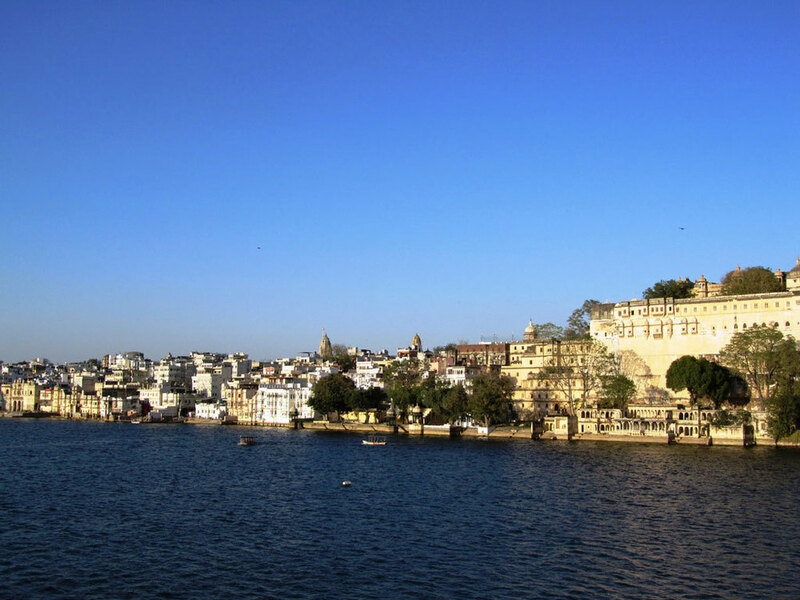 After lunch, go on a guided city tour to see the sights, and take a boat ride on Lake Pichola in the evening. Overnight Udaipur. Wander around and explore this charming 'city of lakes'. You can find some fantastic antique silver jewellery here. There's also a short cable car ride that takes you up to the top of a hill overlooking the city. Overnight Udaipur. After breakfast drive approximately 100 km to visit the Kumbhalgarh Fort and the Jain temples of Ranakpur, both dating from the 15th century. The Kumbhalgarh Fort has the second longest continuous wall in the world after the Great Wall of China. The Ranakpur temples are truly exquisite, they include 1444 pillars intricately carved in white marble- no two pillars are alike! 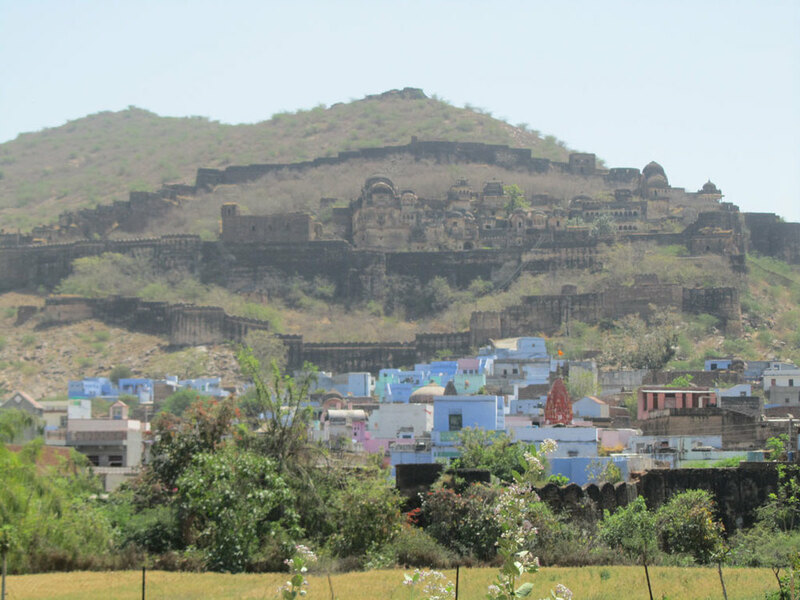 Overnight Kumbhalgarh. 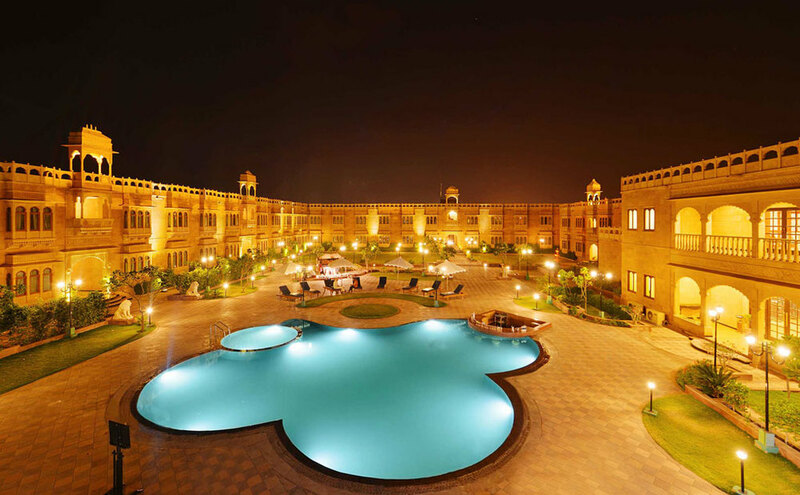 Drive 175 km to Jodhpur, the capital of the erstwhile Marwar kingdom, in the heart of Rajasthan. Jodhpur is also famous for curios, handicrafts and durries. Overnight Jodhpur. After breakfast visit the Mehrangarh Fort, an architectural marvel that overlooks the blue city, and the Jaswant Thada, the royal cenotaph with your guide. Evening free to explore/ relax at your leisure. Overnight Jodhpur. Transfer to Jodhpur airport and continue to your next destination. 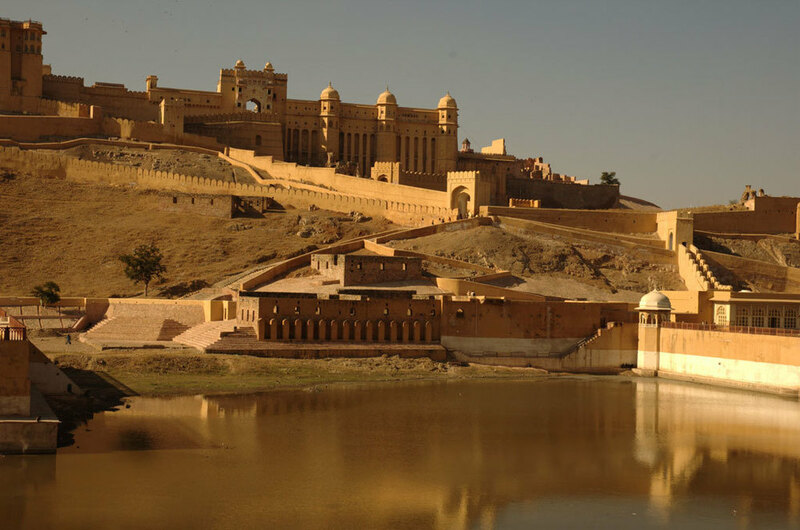 About 11 km outside Jaipur is the beautiful Amber Fort, which integrates both Hindu and Mughal elements of architecture. An elephant ride takes you up to the fort (you could always choose to go by car). The walls are covered with paintings, carvings and stunning ornamentation. There’s also a good sound and light show in the evenings.